We don’t have a scholarship deadline and offer scholarships to eligible candidates when an offer on the course is made. We expect to have allocated all scholarships by late Spring. Is there a separate scholarship application? No, all eligible applicants can be considered for a scholarship – please state that you would like to be considered on your application form. What level of first degree do I need? Offers of a scholarship are given to those with or expecting a First in their undergraduate degree and occasionally to applicants with a high 2:1. Entry criteria for the course is a minimum of a 2:1 undergraduate degree or equivalent. Yes, either face-to-face or via Skype. Interviews are fairly informal and are an opportunity for you to find out more about the programme as well as us finding out more about you, your level of Maths and your motivations and research interests. Should I attend an Open Day? We would recommend participating in one of our three Open Days (held in December, February and March). MathSys Open Days are an ideal opportunity for you to see the Centre and speak with students and staff as well as hear one of our weekly Forums. You can register on-line. If you are unable to attend an Open Day we can arrange a visit to the department for you, usually on a Wednesday. It is also possible to speak with our admissions tutor via Skype. The Maths Department also holds Open Days which give an overview of the department, however, we would recommend the MathSys Open Days for more detailed information. Our website has full details of the course structure with links to each of the core and optional modules as well as information on projects and collaborations. MathSys is hosted by the Centre for Complexity Science where more information about our Forums and other activities can be found. Our current Newsletter, edited by our students, also contains information about our students' activities. Is it possible to do the MSc without progressing to PhD? Yes, the course is structured so that all students complete the Masters before progressing on to PhD (subject to meeting the progression criteria) and it is therefore possible to leave at this point in the programme. MSc only does not come up as an opton on the application form. Please therefore apply for the 1+3 programme and state that you wish to apply for MSc only and we will transfer you to this study route. Please note that EPSRC/MRC studentships are not, however, available to students who do not wish to undertake the PhD. I already have a Masters – can I go directly to PhD? If we assess your Masters degree as an equivalent to our own and you meet the other PhD selection criteria, it is possible to enrol directly on to our PhD programme. Note, however, that core CDT funding is not available for this entry point. Occasionally we have PhD projects funded by an external partner organisation and these are advertised on our website and on www.jobs.ac.uk. A condition of my funding/visa is that I enrol on a PhD programme – is this possible? Yes we have an integrated MathSys programme which allows work on PhD to start whilst taking relevant modules from the Masters programme. If you think this option would be appropriate for you please discuss this with our admissions tutor prior to making an application. I plan to self-fund the Masters – is funding available for PhD studies? We cannot guarantee that funding will be available to you, however, there is the possibility that an EPSRC/MRC-funded student does not progress to Masters and their funding becomes available for the PhD element of the programme. There is also the option of working with an external partner and receiving funding from them. Students have also been successful in applying for other scholarships or funding. Our intake of CDT-funded students is generally ten a year and in the first and second intakes we have had an additional 5 partial (EU fees only) and self-funded students. Do you have any international students on the programme? 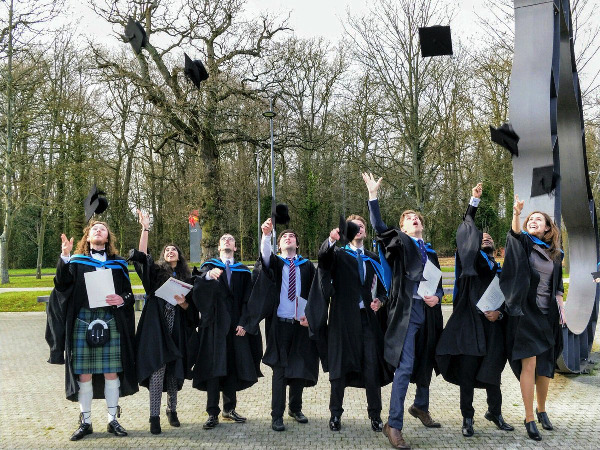 Yes, we welcome international students and, in the first and second years of the programme, one third of our intake has come from countries outside the UK. We have received students from Italy, Spain, Greece, Bulgaria, Russia, Costa Rica, Columbia, Syria and China. Due to the structure of the Masters programme it is not possible to offer this part-time. However, on progression to PhD, part-time study becomes an option. What are the advantages of joining a Centre for Doctoral Training (CDT)? At Warwick our Complexity Science Doctoral Training Centre started in 2007 and we have built experience over the years. In the Masters year each cohort has the opportunity to work together over the year and this provides a support network for the PhD years. CDT students shape the programme and the direction of the Centre. At a more practical level we have our own Centre within the Maths department with a Common Room, kitchen area, teaching room and offices. Each student is provided with a desk-space for the duration of the programme. Additionally EPSRC-funded students have an individual budget for conference travel and consumables as well as a laptop for the duration of the programme. CDT funding funds weekly forum lunches and seminars as well as a Summer School and an Annual Retreat, open to all students. How would I be involved with real-world challenges? You will have the opportunity to meet and hear from our external partners during induction week. They will set out some of the challenges they are facing. All Research Study Groups will work with an external partner on finding a solution/understanding to a real-world problem they face. In previous years JLR, Pirbright, University Hospital Birmingham, Legion, Thales UK and Sciteb have been study group partners. For more details on these projects see here. All individual projects will have a real-world element to them and there will be the opportunity to work with an industry partner for these. Is it possible to speak with a current student? Yes, if you have questions which would be more appropriate to address to a current student please forward these to us and we will pass them to one of our students to respond to. Some students list their e-mail on their webpage and can therefore be contacted directly via this means. Our twitter feed is entirely operated by our PhD and Masters students and will give you a flavour of student activities. I have a question which the FAQs do not address – who can I ask this to? Any academic query can be addressed to our admissions tutor, Yulia Timofeeva (Y.Timofeeva@warwick.ac.uk). Our administrator, Heather Robson, (complexity@warwick.ac.uk), will be happy to respond to any other questions you may have.